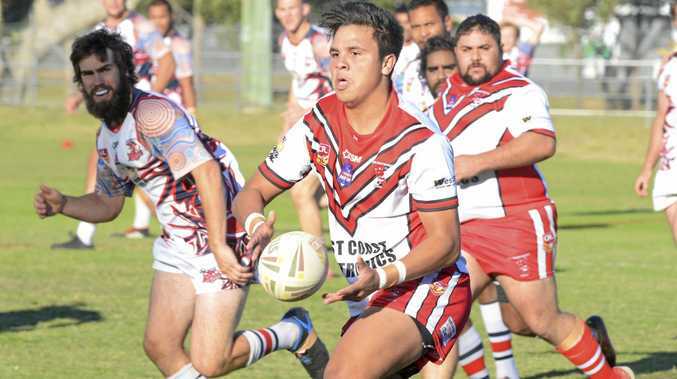 RUGBY LEAGUE: The South Grafton Rebels will be looking to put on a show for their fans when they play their first home game of the Group 2 season, with last year's grand finalists Macksville making the journey to play at McKittrick Park. The Rebels earned a 30-22 win over Woolgoolga Seahorses to start 2019 and coach Craig Youngjohns said he was pleased with the performance of his team. "The boys never gave up and had good body language, even when they were behind on the scoreboard,” Youngjohns said. "We were probably more dominant than the scoreboard indicated but it was just a hard game to get momentum. Youngjohns said South Grafton would take a lot of confidence from their first- round win against the Macksville Sea Eagles, who suffered a 42-8 loss against the Coffs Harbour Comets to start the season. "I was really pleased by how we kept our structure and attacking shapes, so hopefully we can do the same again on Sunday,” he said. "When things went a bit wayward last weekend the boys went back to their structures, which was good to see, and we remained patient, so if we play in the same way this weekend we will do well. With the Rebels to play their first home game of the season, Youngjohns said he was hoping to see a lot of red and white in the crowd at McKittrick Park. "It's going to be good to play at home and the fans will hopefully be coming out in numbers,” he said. "We got a strong result last week and it won't be easy to do the same again but we're hoping to have a big supporter base come out and watch the game. GAME DAY: South Grafton Rebels take on Macksville Sea Eagles at McKittrick Park, with ladies' league tag kicking off at 11am.